Anyone who knows me knows how much I love The Art Institute. From their charming collection of Modern Art to the always enjoyable Thorne Miniature Rooms, this amazing assortment of wonderful works is a true gift for anyone who visits. 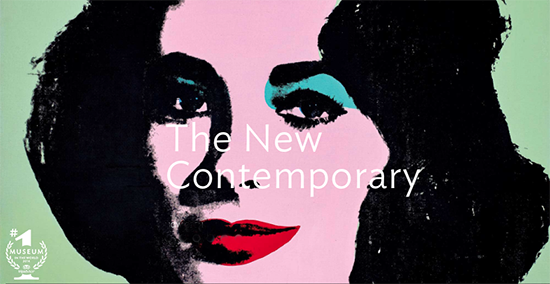 But what truly makes this institute a perfect place to spend your afternoon is the reopening of their contemporary galleries, also known as The New Contemporary. Recently reopened in December, 2015, this gallery unveils the largest gift in the Art Institute’s 136-year history: 44 iconic works by artists such as Andy Warhol, Jasper Johns, and Roy Lichtenstein. With 44 new paintings, sculptures, and photographs added to the museum’s collection of contemporary art, you now get a new depth and perspective to the Art Institute’s already amazing assortment, making this gallery the strongest of any art museum in the world. So do yourself a favor and head on down to the Magnificent Mile and take a stroll through this amazing collection of art that us Chicagoans are so lucky to have in our own backyard. Sicario: Bloody. Gritty. Downright Mad. The X-Files is Back, and I Can't Wait! CBGB — I should have watched this movie sooner! Birth of the Living Dead... yes please!